We’ve got two big events coming up this month! 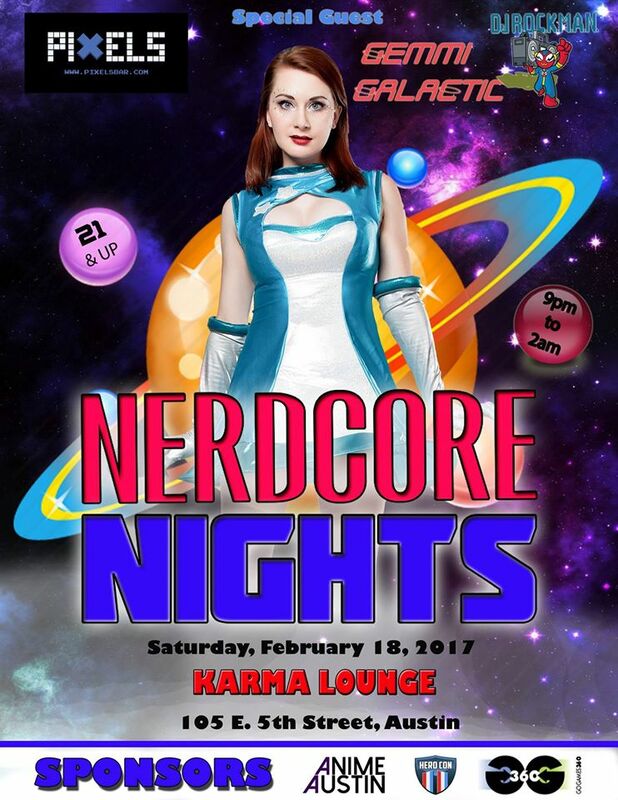 Y’all made our first Nerdcore Nights in Jan such a success that we’re returning to Karma Lounge on Saturday, February 18th at 9:00pm for another round. We’ll have more dancing, more thumping tracks, and more games, all for no cover! Come on down and see us! And if that isn’t enough, we’ll also be hosting the first ever show by the Returners with their new line-up. It’ll be only $5 for a night with more games, more bumpin’ phat trax, and having your face melted off on top of that. You can find the Facebook event here. This entry was posted on February 6, 2017 by sbmrclean. It was filed under Uncategorized .